The world needs more emojis. Ever since emojis became a cultural phenomenon, tech companies have been working together to add new smileys, animals and objects. And the Unicode consortium just published this year’s list of new emojis. While many glaring omissions have been fixed in recent years, the Unicode consortium has accepted 157 new emojis. But who are these people who get to decide what we’re all going to use pretty soon? You can see a list of all members on Unicode’s website. People working for Apple, Google, Facebook and Microsoft all participate in the emoji subcommittee. 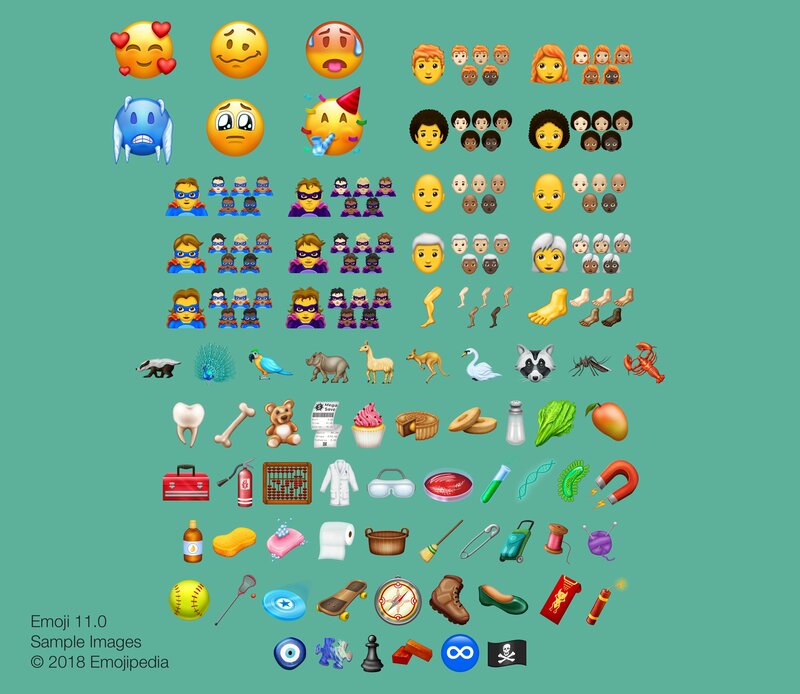 Emoji experts, such as Emojipedia editor Jeremy Burge, also participate. Again, this is just a sample design. Apple, Google, Facebook and others will all work with their own artists to create their own version of each emoji. Redheads are going to be quite happy with this release as there will be redhead versions of all smiley emojis. I’ve been writing about emojis for a while, and I got comment about the lack of red hair every single time. Curly hair, baldness and white hair are also going to be new options. When it comes to smiley faces, there will be a smiling face with three hearts, a hot face, a cold face, a dizzy face and a pleading face. Most importantly, there will be a partying face with a party hat and all — finally. There won’t be any new jobs this year, but you can expect a bunch of superheroes and supervillains. Kangaroos, raccoons, badgers and a handful of other animals will join the crew. Don’t expect to open the emoji keyboard and find those new emojis just yet. The specifications of Unicode 11.0 are still a draft. The Unicode consortium should vote for the final version in June 2018. Apple and Google will then ship iOS and Android updates with those new emojis at some point before the end of the year.